Creating a series of destination areas to house some of the world’s most prestigious cycle brands. 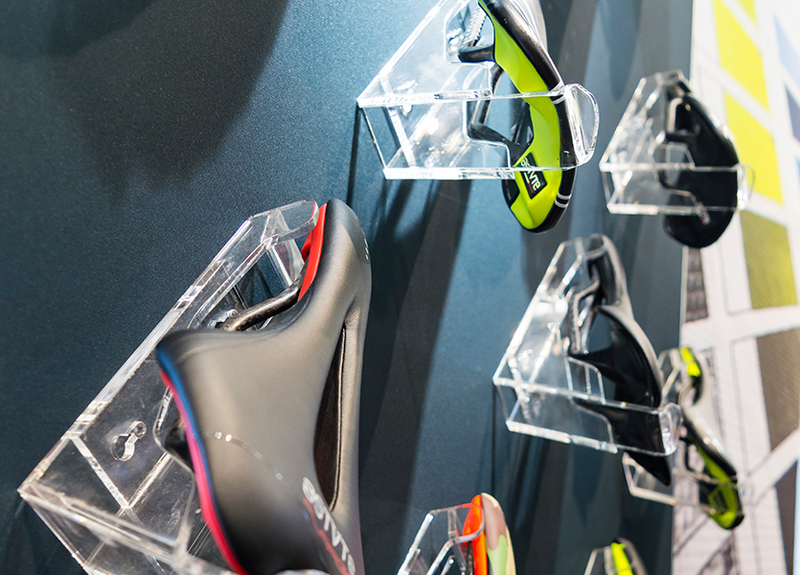 Founded and run by a team of passionate cyclists in Bristol, Saddleback is the official UK home of the world's most prestigious road and mountain bike brands. True to our collaborative approach, we worked with our sister agency Phoenix Wharf to create an event space where the Saddleback brand could work in harmony with the distinguished product brands it sells. We created a series of destination areas within one large space and designed a brand architecture framework to allow each product brand to merchandise its retail area in a controlled manner under the Saddleback masterbrand. The premium look and feel complimented the brands on display. Our innovative design for the House Show was created with longevity in mind. In fact, it was re-used as shop-in-shop fixtures for their retail outlet, providing a great return on investment.